I was born in Miami and have been interested in birding since I was about 6 years old, when my mother gave me my very first book on birds. I have had a life list since about 8 years old. Having lived in South Florida for more than 30 years. I am familiar with the locations of the South Florida specialties as well as the rest of Florida. 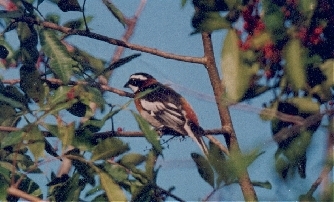 Many birders might remember my name for the Western Spindalis that showed up in my yard between January 3rd and February 26, 1992. More than 400 people came to see that amazing vagrant. Realizing the number of people that share my interest, I decided to start guiding professionally. I have birded most of the birding hotspots of North America (Attu Island Alaska, Southern Arizona, South Texas, California, etc...) as well as most of the Caribbean Islands (The Bahamas, Puerto Rico, Dominican Republic, Jamaica, Montserrat, Martinique, Grenada, St. Vincent, Guadeloupe, Barbados's, Antigua and Barbuda). On a trip to the Dominican Republic with P.William Smith, we discovered a bird not previously seen on Hispaniola, possibly a new species (see the accompanying article). I am familiar with all North American birds, not just Florida specialties, as well as with Caribbean strays. I contributed to the book titled “A Birder’s Guide To Florida” by Bill Pranty. I wrote the chapter on Homestead and helped with the sections on Miami, the Florida Keys, and Everglades National Park. I co-authored "A Birder's Guide To Metropolitan Areas of North America" by Paul Lehman and sold by American Birding Association. 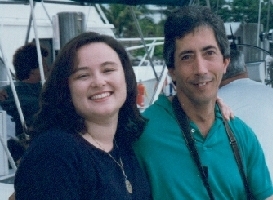 In 1997, I married my wife Christine, who is originally from France. In our first year birding together, she saw more than 300 species of birds, most of them observed in Florida.